If you regularly shop at membership warehouse clubs like Costco, Sam’s Club and BJ’s Wholesale Club, or big box stores like Walmart and Target, you probably understand why they offer headache remedies in the front of the store and booze in the back. Sometimes you need both to endure the experience. But Jordan Page, a mother of five and the blogger behind Fun, Cheap or Free and Budget Boot Camp, manages to stay sane while shopping and says she also enjoys it! These are her tried-and-true tips for shopping at the mega stores. 1. Decide which store is right for you. Membership stores: If there are only one or two people in your household, Page suggests you should weigh the cost of membership against money saved. If you feel like you're not saving enough money over the year to pay for the membership, ask the manager if you qualify for a refund. Big box stores offer apps that give extra savings to customers, too. For example, the Cartwheel app at Target gives special discounts on certain items scanned with the app. Walmart’s Savings Catcher app refunds the difference in price as compared to top local competitors’ advertised prices. 2. Make a smart shopping list. For example, unless your family can realistically consume 5 pounds of bananas in a few days, it's better to buy exactly the number of bananas you need at your local grocer. Your phone also has a calculator, which comes in handy when figuring out the price per unit of any item. It can also keep a running total of what you’re buying so you won’t go over budget. 3. Discover the best time to shop. Since every store is different, talk with the workers at your favorite store for tips on when to shop. Looking for the freshest produce? Ask employees in the produce section when they get deliveries. Want to make sure your favorite grocery items are in stock? Ask stockers what day shelves are usually stocked. Don’t like long lines? Ask the cashiers for the lightest shopping days and times. Of course, if you’re shopping online, any time is a good time to shop. Sam’s Club members can shop online and either have their order delivered to their home for a fee or they can arrange to pick up purchases at the store the next day at no extra charge — and there’s no minimum purchase required. 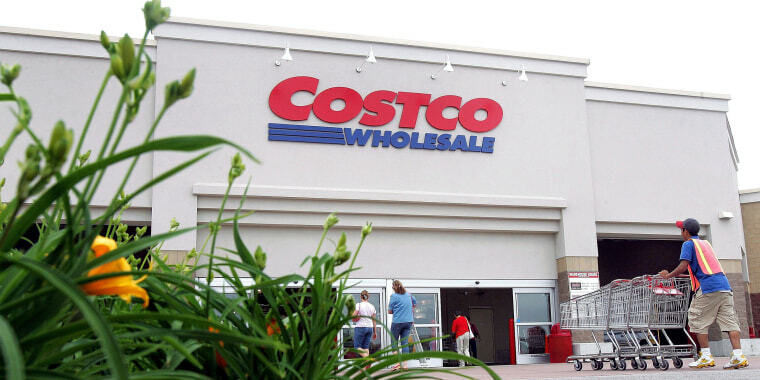 Costco offers online shopping and home delivery for a fee. Walmart also offers free same day pick-up but requires a $50 minimum purchase. Target offers free shipping on purchases over $25 and same day pick up at stores, with no minimum purchase. 4. Take advantage of rebates and sales. While Costco and Sam’s Club do not accept manufacturers’ coupons, BJ’s does accept them. In addition, all three stores have their own coupon and rebate offers that can be extremely valuable. Coupon discounts are automatically taken at the register. Keep the sale booklet handy when making your list and while shopping; or get the app for in-store sale items each month. Keep in mind that stores like Costco rotate sales every two to three months. That means if there’s a coupon on coffee, for example, buy enough to last until coffee goes on sale again two to three months later. Ask your local store how often sales are rotated. Learn to read the codes: At Costco, if an item is not going to be restocked, there will be an asterisk on the price label on the shelf front. So, if you love pitted dates, for example and you see an asterisk next to the price, it’s time to stock up! Likewise, if an item is marked down at Costco, the price will always end in 97 cents. If you find an item that you like marked with an asterisk and ending in .97, grab all your budget can bear before it’s gone. 5. Utilize 30-day low-price guarantees. Check to see if your warehouse or big box store refunds customers for the difference in price if the item purchased goes on sale within 30 days. Costco does, but check with your local Costco store to see if it requires the original receipt, or if employees will be able to look up your receipt using your membership number. 6. Compare prices at the pharmacy. At both Sam’s and Costco, shoppers do not need a membership card in order to purchase prescription medicines. Compare these store prices with those at your local pharmacy. You may discover a substantial savings on your prescriptions, plus they sometimes offer free health screenings for high blood pressure, cholesterol, vaccines and more. 7. Check out store brands. Warehouses and big box stores do not stock every brand of every item made. If they did, they’d lose money, said Page, because they'd have so much inventory. To guarantee the best prices for customers, they usually stock the most popular brand of an item, like Bounty paper towels, as well as the store's own brand of paper towels. Here’s what you don’t know: At Costco, many times the same company makes both products. They are not identical — one may be thinner or larger — but they are often very close in quality. This goes for common household items and even certain types of wine. “If you haven’t tried a warehouse store brand item, give it a try,” said Page. 8. Score big in the meat department. Most people shop for food at warehouse stores but the biggest dollar savings are often on the other side of the store in places you might not expect. By purchasing bulk sizes of non-perishables, like laundry detergent and baby diapers (one of Costco’s biggest sellers), you save the most money — and these products won’t spoil. Other money-saving non-perishables that offer substantial savings include electronics, jewelry, eyeglasses, photos, tires and gasoline. Plus, the stores carry many big name brands. Warehouse stores operate on an early in/early out method. That means that seasonal items, like yard and lawn care products, appear in their stores months ahead of their competitors. So you should think ahead, too, and stock up when seasonal items become available. If you buy one or two items each time you shop, you won’t have to pay full price at your regular store later. This post was originally published on Feb. 2, 2017.